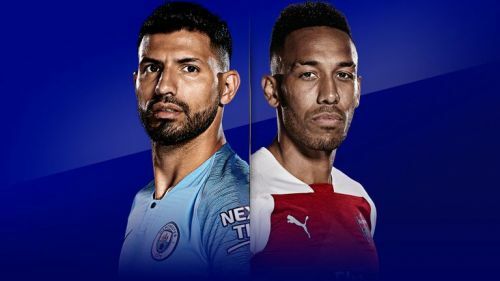 Two of the Premier League's top six, Manchester City and Arsenal, are meeting this weekend, in what is arguably the biggest game in England this weekend. The respective position of both clubs, on and off the pitch, differs. City and Arsenal recently posted within the highest-earning clubs in the world, per the Deloitte Money League. Whilst Arsenal's revenues declined somewhat compared to previous years, City's income was boosted by its record-winning Premier League title triumph. Arsenal recorded a 2-1 win over Cardiff City, with the latter side suffering under the Emiliano Sala tragedy. The Gunners before the weekend were in the top four, because of Chelsea's 4-0 loss to Bournemouth. City, in contrast, lost to Newcastle United, which was in part ameliorated due to Liverpool drawing 1-1 at home with Leicester City. However, the lead between the two has been increased, even if it's only by a point. Man City here could either be a wounded animal, striking out in defiance. Or they could fold under the pressure, or even succumb to self-pity. Arsenal, despite not playing classically vs. Cardiff City, would be buoyed by the win attained. It got them into the top four, even if it's brief at this point. But City would certainly have a point to prove. Will Arsenal's defence handle City's attack? What the result can mean for each side. As two of the Premier League's mainstays, and with their managers as compatriots, it should be an intriguing game. They've offered some tasty fixtures in recent years, such as the 6-3 win in this fixture in 13/14, and Arsenal's 2-0 win in 15/16. Let's hope this game is as exciting and engaging.